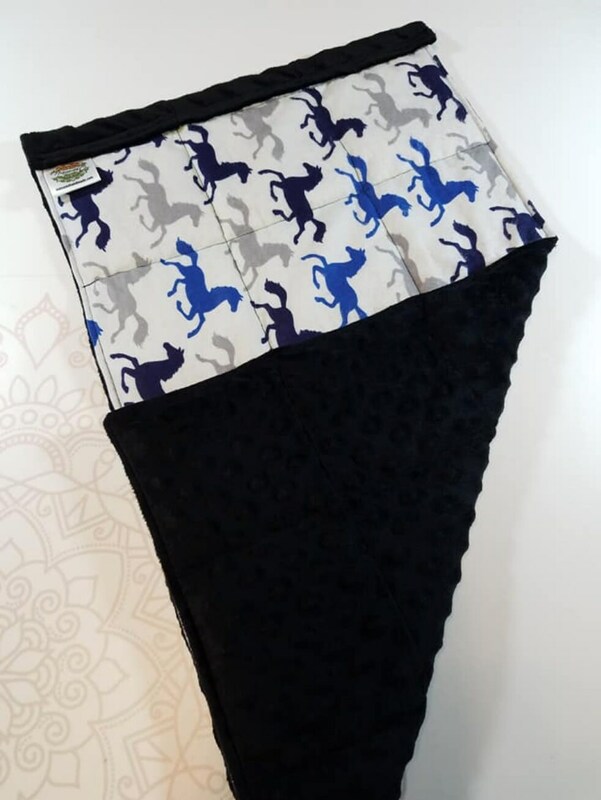 Made from running horses cotton flannel front and backed with a coordinating black minky fabric for added softness and texture. As with any handmade item, there will be some variation on inch measurement and weight. Tape measures, quilting rules, yard sticks, and other measuring tools can and will measure an "inch" a bit different. We do our best to produce your finished product as close to the advertised dimension and weight as possible. Also, to ensure that your item remains in NEW condition, and to avoid any ALLERGY interactions, we DO NOT PREWASH FABRIC. 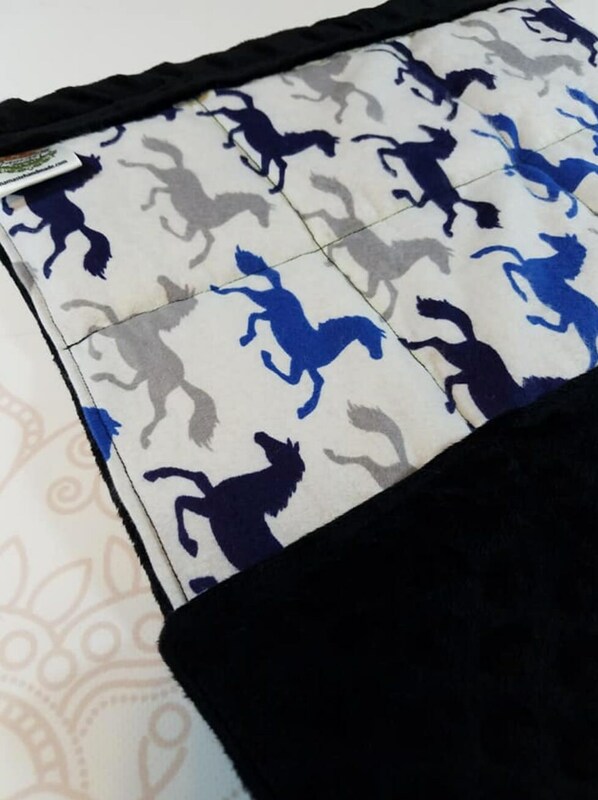 After you receive your item, should you choose to wash-please note, the majority of our products are made with cotton or other natural fibeMade from Coral Medallion cotton flannelrs that can shrink during the laundering process.